Whenever I unluock a summon item I always get one the first box I open after unlocking XD Just got a wishing stone! 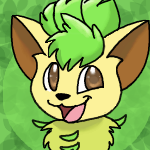 The pic I'm using as my avatar is by Marie-Chan. From the Advent Calendar. Click my unevolved pokemon please? They're sorted and stacked in the first field! The luckiest thing that happens to me is when I find high level pokemon in the shelter. I found a level 100 Ice Houndoom on the old pokefarm, and then I found a level 63 Pikachu floating around in the shelter on this site. Oh wow, I actually had terrible luck back then. XD I'd say that the luckiest thing that ever happened to me was when I found 4 Jirachi and 6 shiny Pichu in the Shelter all in one day. For me, it would be hatching an Albino Raikou on Pi Day. Lol, I almost never get that kind of luck. I love PFQ! 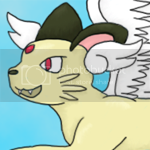 Angel Cat Avatar by the awesome Avaritia. Here's my Proof of permission. Knowledge is power. Power corrupts. Learn more. Be evil. ;) -Words of wisdom found written on a college desk. I almost never get Boxes. But a couple days ago I found a box with a Life Antler, and just minutes ago I opened a box to find a Wishing Stone! I'm on a roll~! The luckiest thing that happens to me is when I find high level pokemon in the shelter. I found a level 100 Ice Houndoom on the old pokefarm, and then I found a level 63 Pikachu floating around in the shelter on this site. I found a thunderus and phione floating in the shelter, acting clueless. Previously known as BlackAgumon. Erm... I have nothing to put here yet. 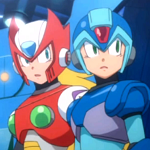 Mega Man/Rockman belongs to Capcom. 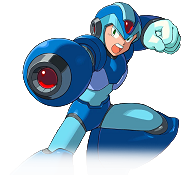 X image from Mega Man X5. Custom X sprite made by me. "Rockman" logo ripped from Rockman 3. Profile picture screenshotted from the OVA Day of Sigma. I have suuuuper terrible luck with shinies, but I have found four level 100 Pokémon, 2 snowpokes, multiple Pokémon over level 80, a Victini and a Zapdos in the shelter! Darkness and Light are intertwined in ways that nobody expects. *Is There No Honor? RP Setup* Come check it out! It's new and accepting! I have found many high level Pokemon and a Dialga in the shelter. Hi there, my name is Syzie... that's all. My melanistic magby, I was just looking for shinies and then pokerus happened!